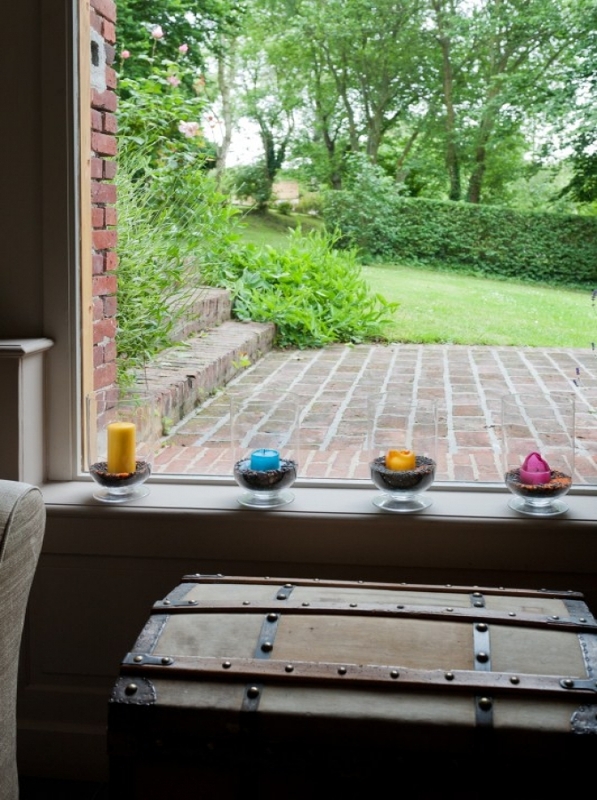 Nestlingdown a country road, in a rural setting of which only Normandy knows the secret, La Fraîchette is an enchanting boutique hotel. 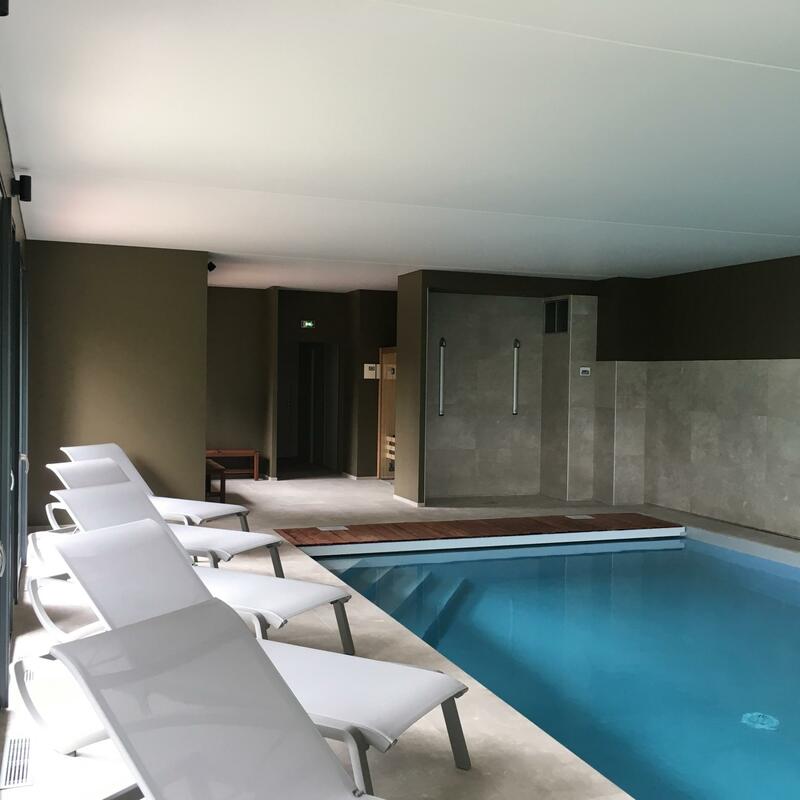 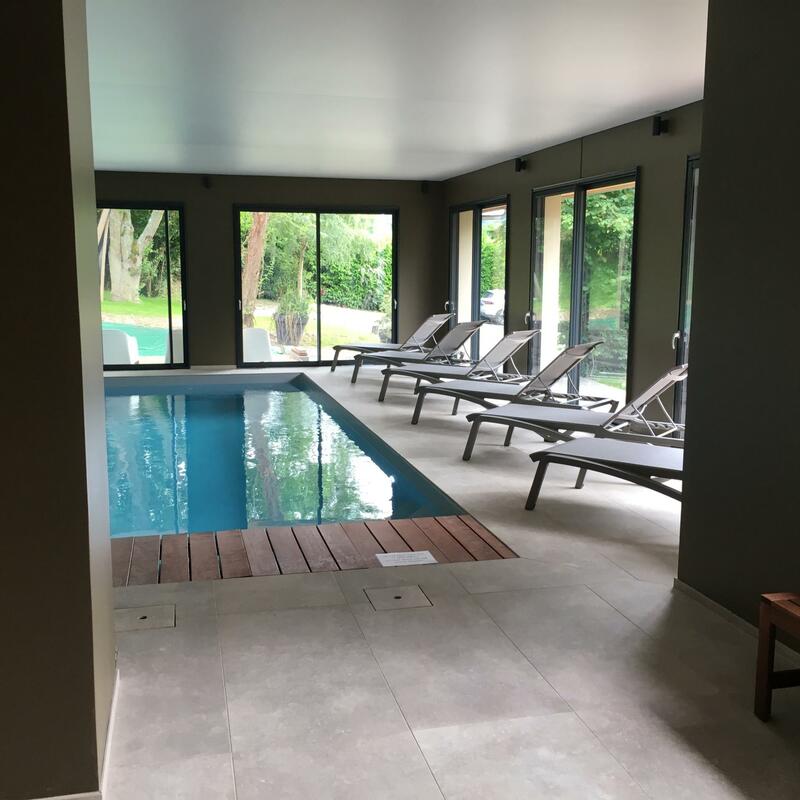 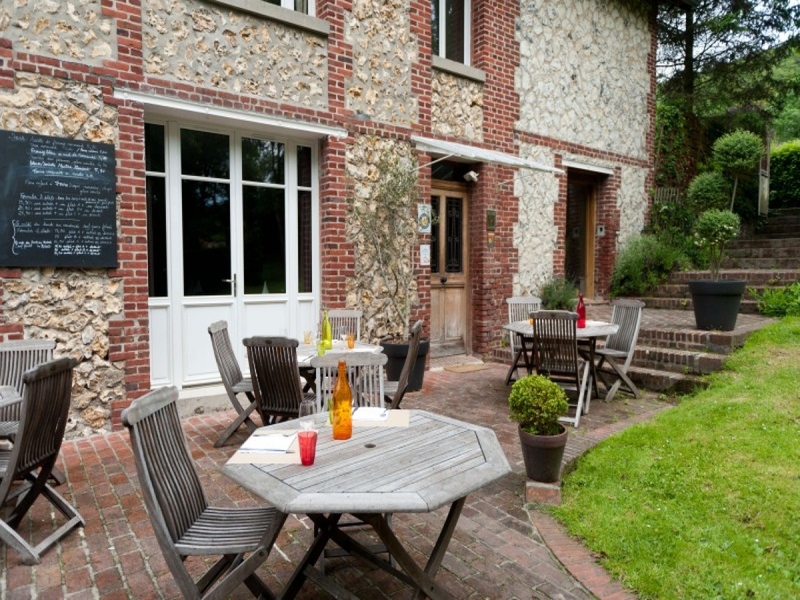 Created with passion by Estelle and Guillaume, in a typical Normandy brick and flint building, this boutique hotel proposes peace and quiet close to the bustling excitement of Honfleur and the Côte Fleurie. 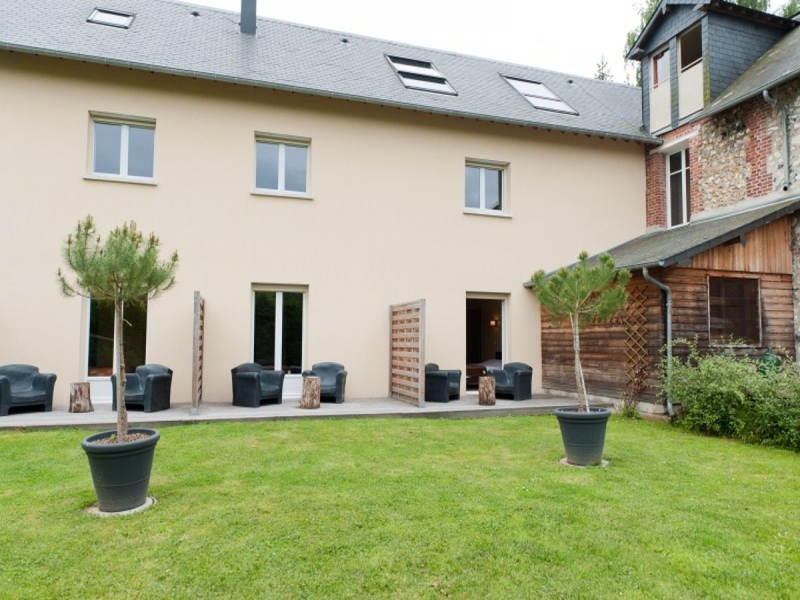 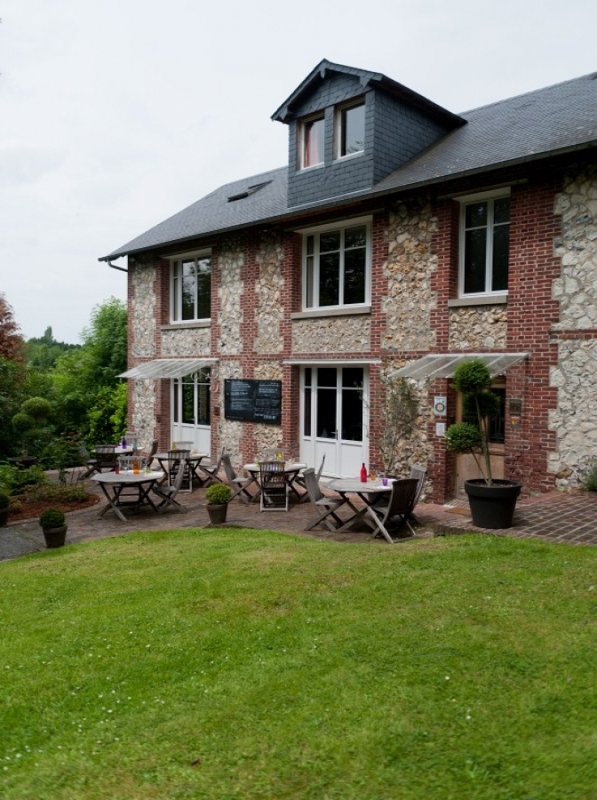 Located in la Rivière-Saint-Sauveur, close to Honfleur, at the foot of the Normandy Bridge, La Fraîchette is a small charming 10 room hotel restaurant, with beautiful views over the Normandy countryside, with private terraces and family rooms. 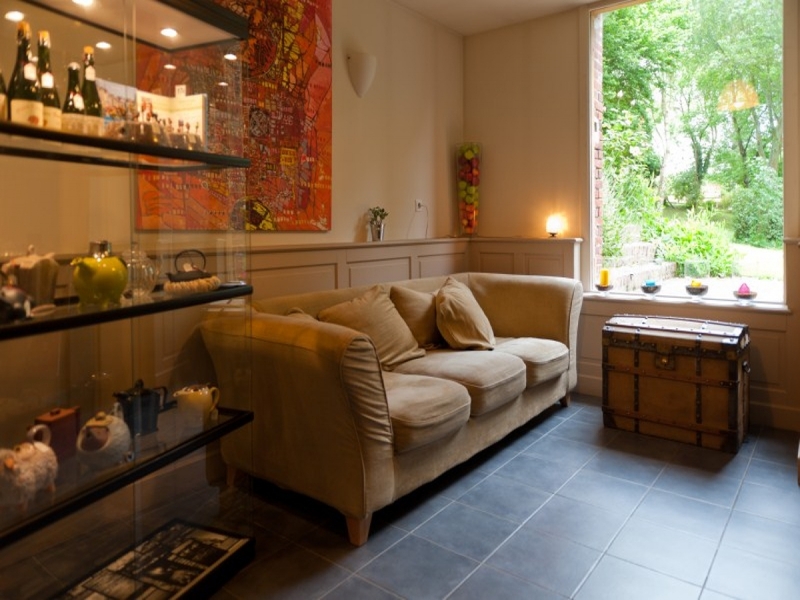 You will love the warm and genuine welcome from the owners and beautiful naïve and colorful canvases that they have brought back from their trips tand which now cling to the walls as in soft childish dreams. 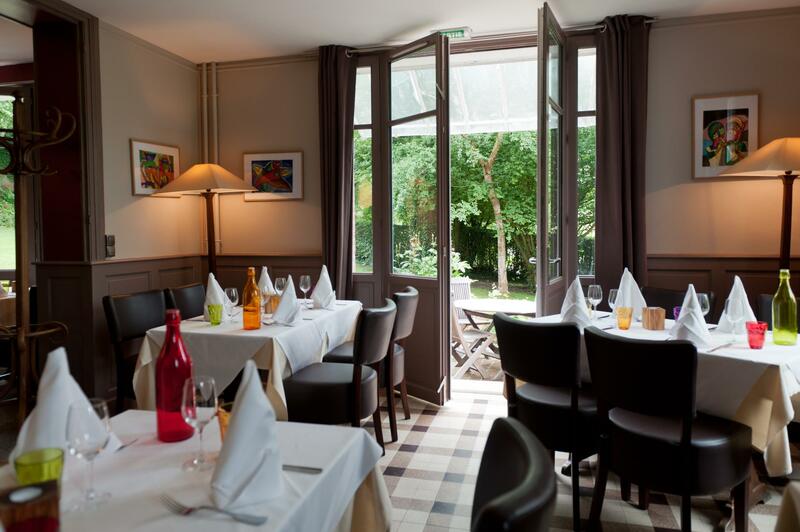 In the restaurant, you can make the most of the terrace in summer and warm fireplace in winter. 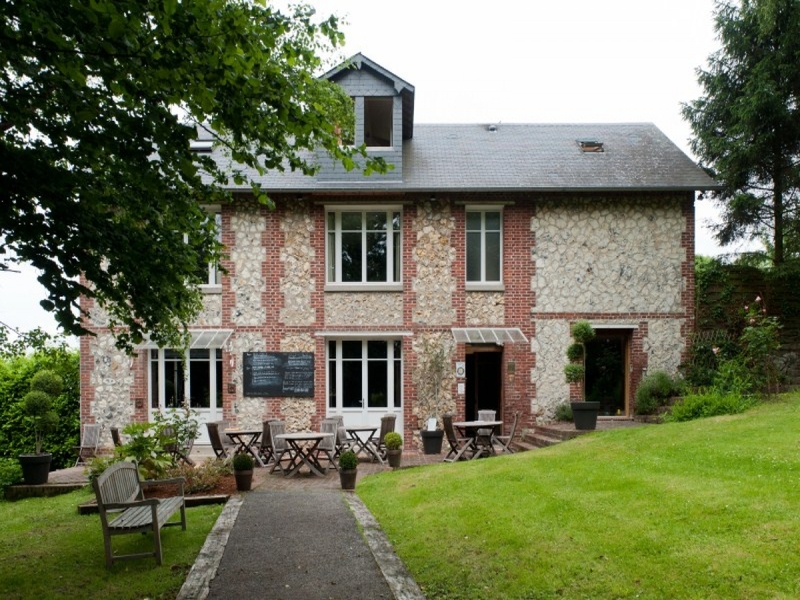 In the kitchen, La Fraîchette proposes simple and tasty dishes featured on the blackboard, dishes cooked in cider, pies and quiches, fresh and tasty salads ... in short enough to satisfy both large appetites as well as light lunches close to the Normandy Bridge. 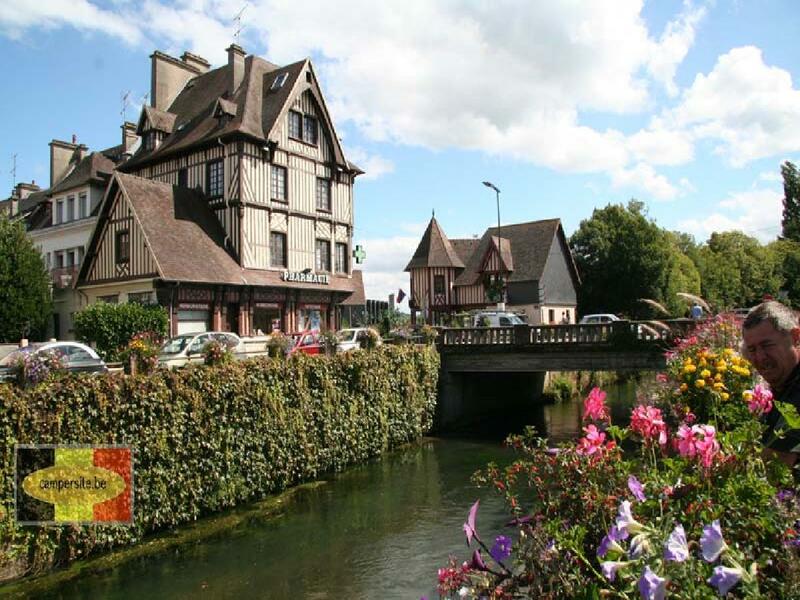 Sufficiently close to enable all businessmen in the industrial area and port of Le Havre to make the most of. 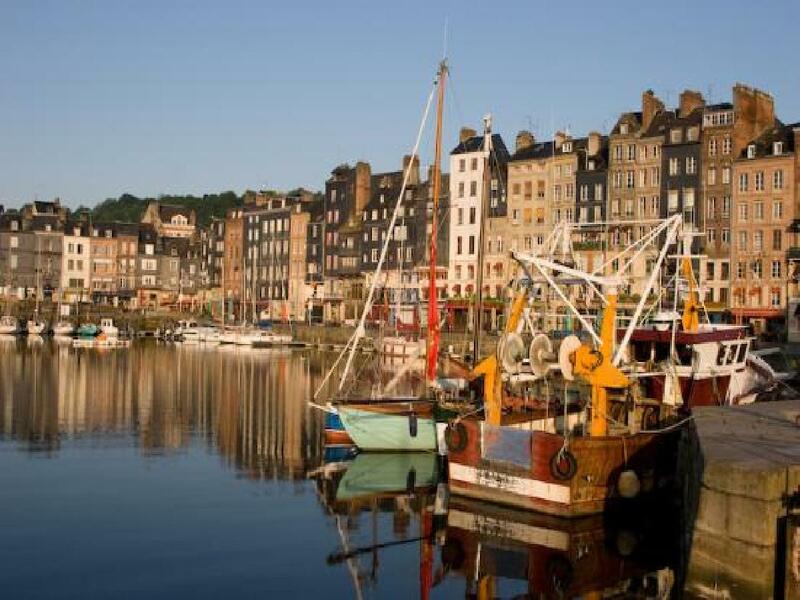 Honfleur is one of the most picturesque and best preserved harbours of Normandy. 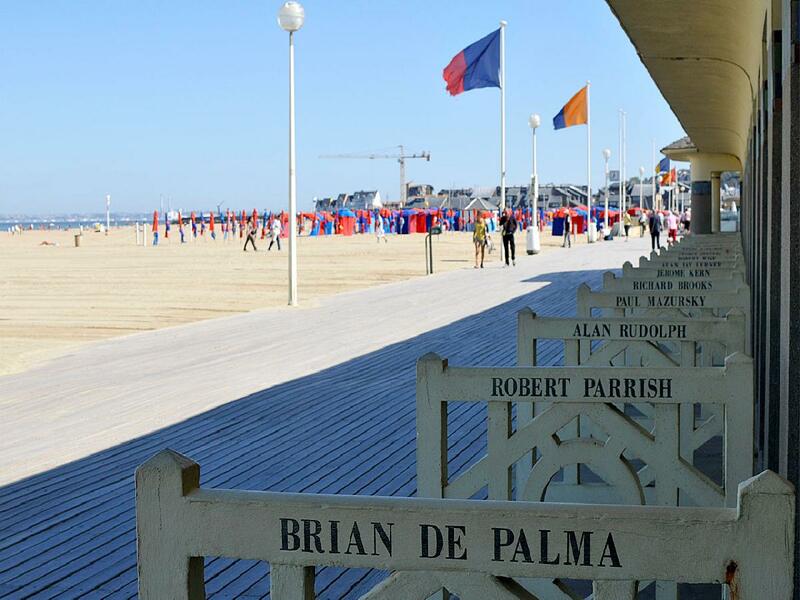 World famous for its American film festival but equally for horse racing and equine sales.